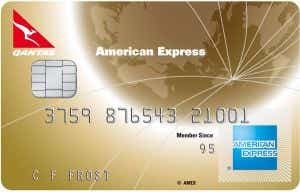 American Express is a provider of credit cards, charge cards, life insurance, personal accident insurance, travel insurance, and business insurance products. If you’re considering an American Express card, then check out what’s available for Rewards cards in our comparison table below, based on a monthly spend of $5,000 and sorted by our Star Ratings (Highest-lowest). Online and Mobile: Credit cards and bank accounts can be managed through the AMEX AU app available on Apple and Android products or online. Contactless: You can use AMEX cards to make contactless payments less than $100 without a PIN and over $100 with a PIN. You can also use your smartphone to make contactless payments using the digital wallets Apple Pay, Android Pay, and Samsung Pay. Security: American Express’s fraud protection guarantee means they will notify you if there is unauthorised spending in your account, and its intelligent security systems aim to keep your card safe 24/7. Rewards: Some American Express cards with built-in rewards let you accumulate points with every purchase you make. Emergency card replacement: American Express Australia says they can get a replacement card to you within 48 hours virtually anywhere in the world. If you’re considering an American Express credit card, then check out what’s available for premium cards in our comparison table below, based on a monthly spend of $2,000 sorted by Annual fee (lowest-highest). If you’re considering an American Express credit card, then check out what’s available for Frequent Flyer cards in our comparison table below, based on a monthly spend of $5,000 sorted by Annual fee (lowest-highest). 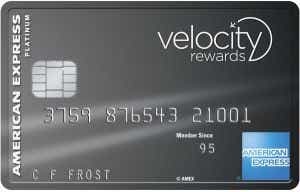 Rewards program: Earn 1.5 Velocity Points per $1 spent, except government bodies in Australia where you will earn 0.5 Velocity Points per $1 spent. Earn 1 additional Velocity Point per $1 spent with Virgin Australia. 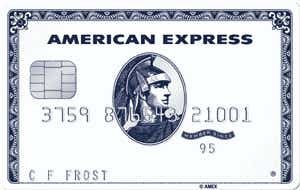 We’ve already written about the David Jones American Express credit cards, and you can learn more about them here. You must be a permanent resident or citizen of Australia, or hold a current Business Long Stay Visa. You must meet the minimum income criteria for the card of your choice (see above for details). A good credit rating will also help. First, you’ll need to check the above eligibility criteria to see if you qualify to apply for an American Express credit card. If you need help to apply, you can call American Express on 1300 557 743 during business hours (open Mon-Fri). Having all of this on hand will significantly speed up the process. The average application takes about 10 minutes according to American Express, and you can expect a response within 60 seconds if you are having difficulties. For more information on how to apply for a credit card, consult our checklist for the credit card application process here. If you’re considering an American Express Low Rate credit card, then check out what’s available for Low Rate cards in our comparison table below, based on a monthly spend of $2,000 sorted by our Star Ratings (highest – lowest). How do I activate my American Express credit card? You will need to activate your new American Express credit card before you can use it. 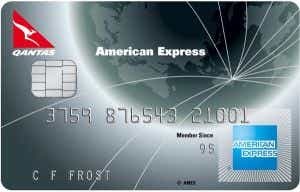 To activate your American Express card, visit americanexpress.com/activate and follow the prompts. Can I manage my American Express credit card online? You can manage any of your American Express credit cards through either online banking or the mobile app, available for both Apple and Android devices. American Express online banking and the mobile app both allow you to check your spend and transaction history, activate and deactivate your cards, spend and manage your points, receive notifications, and more. You can also make the most of your American Express credit card through Apple Pay. Apple Pay allows cardholders to make payments that charge the Amex card and therefore earn rewards if applicable, but it’s fast, convenient, contactless, and doesn’t need your wallet – just your smartphone. To authorise Apple Pay payments, you’ll need activate Touch ID, which scans your fingerprint through the key or touch pad of your smartphone. Discover more about how the Apple Pay and American Express partnership works here. How is interest calculated on my American Express credit card? 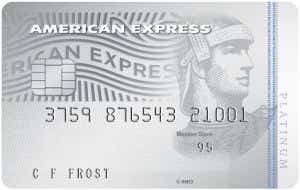 What will my credit limit be on my American Express credit card? The credit limit on your credit card is the maximum balance that you can have on your card at any time, and it is determined based on the financial information you provide in your application. When applying for an American Express credit card, it will ask you to set a preferred maximum credit limit. You should make sure that this limit matches your current financial circumstances. Your credit limit is at the discretion of American Express and there is no guarantee that you will be granted your preferred credit limit. For more information on how credit card limits work, you can read our article on the subject. How do I close my American Express credit card account? If you want to cancel an American Express credit card, you can call the customer service helpline number on the back of your card. Your card balance will need to be repaid in full, even after the card is closed, and you will continue to receive monthly statements until your card balance is fully repaid. 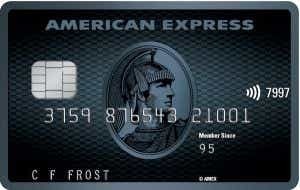 What is the American Express Black Card (Centurion Card)? The AMEX Black Card (a.k.a. the Centurion Card) is a special credit card made of titanium that offers exclusive privileges to holders. It is one of the world’s most famous credit cards and is only available by invitation to those who meet certain criteria. 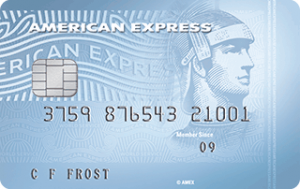 What the difference between American Express and other cards? Will the AMEX credit card changes affect my rewards?